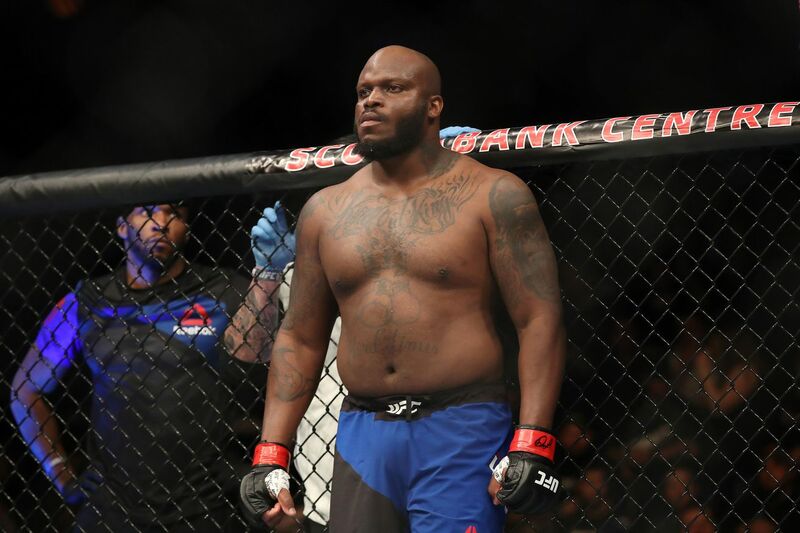 Ultimate Fighting Championship (UFC) is close to getting signatures for a fan-friendly bangfest pitting fast-rising heavyweight power puncher Derrick Lewis opposite longtime veteran jaw-jacker Mark Hunt. At the upcoming UFC Fight Night 110 mixed martial arts (MMA) event on FOX Sports 1, also featuring “Prelims” on UFC Fight Pass, locked and loaded for Vector Arena in Aukland, New Zealand, on June 10, 2017. That’s according to a report from MMA Junkie. Lewis (18-4, 1 NC) has been calling for a showdown against the “Super Samoan” over the past few months, which may not get him any traction in the official UFC rankings (see them here), but it will undoubtedly please the JUST BLEED crowd. “Black Beast” has 16 knockouts in 18 wins. Hunt (12-11-1, 1 NC) has some healing up to do before he can think about his next fight, thanks to injuries sustained in his knockout loss to Alistair Overeem at UFC 209 earlier this month in Las Vegas, Nevada. No other bouts have been announced for UFC Fight Night 110, but you can expect that to change sooner, rather than later.